You can never deny your knowledge of good and evil to yourself so that you could betray your good in order to live evil. For as soon as you separate good and evil, you recognize them. They are united only in growth. But you grow if you stand still in the greatest doubt, and therefore steadfastness in great doubt is a veritable flower of life. He who cannot bear doubt does not bear himself. Such a one is doubtful; he does not grow and hence he does not live. Doubt is the sign of the strongest and the weakest. The strong have doubt, but doubt has the weak. Therefore the weakest is close to the strongest, and if he can say to his doubt: “I have you,” then he is the strongest. But no one can say yes to his doubt, unless he endures wide-open chaos. Because there are so many among us who can talk about anything, pay heed to what they live. What someone says can be very much or very little. Thus examine his life. 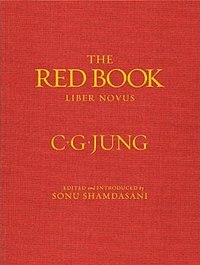 ~Carl Jung, Red Book, Page 301. Previous Previous post: Carl Jung on Hatha Yoga.